Recycling advocates have long been reporting on the significant jobs benefits of diversion over disposal. Some have focused on the jobs potential in recovering a particular product, such as tires or electronics; some have considered the jobs impacts of recovering a particular material, such as plastics or precious metals; and still others have looked at the jobs benefits of a particular recovery method, such as curbside recycling or composting. 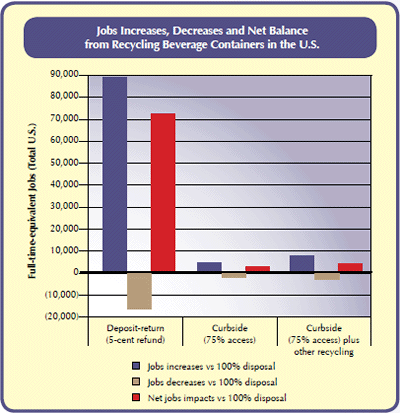 Depending on the system, container deposit-return (CDR) systems create 11 to 38 times more jobs than curbside recycling. On average, states with deposit-return systems recover roughly three times more beverage containers than non-CDR states. Jobs gained from recycling far exceed any jobs lost in virgin extraction, landfilling or domestic manufacturing. U.S. PET reclaimers currently operate at less than 60% capacity due to a lack of quality source materials. The U.S. loses 800 jobs per year to overseas markets due to the export of PET. In these times of record-breaking unemployment in the United States (to say nothing of record-breaking costs for energy and landfill space), few solutions are more urgent—and none more logical—than creating jobs out of what we are otherwise throwing away. While disposal itself puts some people to work, primarily in the garbage collecting and landfilling industries, the level of disposal-related employment pales in comparison to the enormous jobs potential in the recycling, processing and manufacturing sectors. Beverage containers, arguably the most common, most prolific and most sought-after of all household recyclables, stand to make a significant positive impact on domestic employment when recycled under a variety of programs. 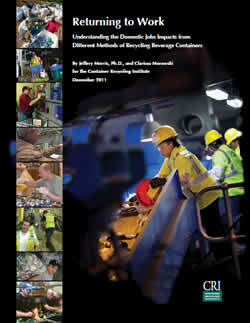 CRI's 2011 publication, “Returning to Work: Understanding the Jobs Impacts From Different Methods of Recycling Beverage Containers” quantifies this impact. The report measures the net gains in domestic jobs when beverage containers made of glass, aluminum, and polyethylene terephthalate (PET) are recovered through container deposit-return programs, curbside recycling, and enhanced curbside recycling, versus landfill disposal. "Returning to Work" is unique among jobs studies because it takes into account the vital importance of material quality, throughput quantities, processing dynamics and end-user needs, and CRI believes it is the first publication to combine all these approaches. 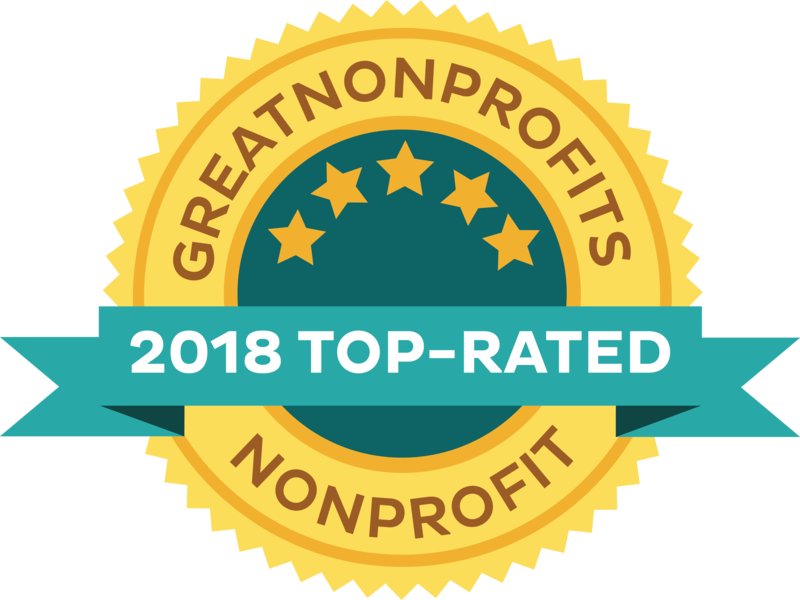 Furthermore, the study findings have been integrated into a one-of-a-kind tool for calculating and predicting the impact of recycling on employment in any given U.S. state. Known as “MIRJCalc” (Measuring the Impact of Recycling on Jobs Calculator), this tool is a user-friendly jobs estimator that calculates, the net impact on domestic jobs from increased recovery of aluminum cans, PET plastic bottles and glass bottles. MIRJCalc, allows the user to run specific scenarios for his or her state, or to rely on model defaults that have been carefully researched and verified. It factors in the domestic jobs losses that will inevitably occur when recyclables replace virgin materials in manufacturing, because the jobs associated with extracting those virgin materials will no longer be needed. It recognizes the impacts on domestic jobs when material collected in domestic recycling programs is sold to overseas markets. MIRJCalc even takes into account the fact that, ton for ton, beverage containers represent considerably more volume (and therefore more transportation jobs) than other items collected along curbside recycling routes or in garbage-disposal trucks. Although creation of jobs is a good reason to increase U.S. recovery of beverage containers, it’s not the only one. Many U.S. consumer-products manufacturers use recycled container material in everything from bottles and cans to fleece and fiberglass. This results in reductions in energy consumption, emissions, production and raw materials cost as well as helps meet consumers growing demand for sustainable products and packaging. Many companies say they would gladly use more if quality material was available. The Brookings Report cites a 'green digest' of clean economy studies that is kept by the CA EDD; the report, which includes a summary of each by someone on the EDD staff can be found here.